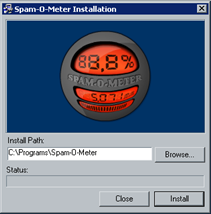 After downloading, simply doubleclick on "Spam-O-Meter.exe" on your desktop. Press "Install" and then you can preview the screensaver or make your settings. That´s it.